Guild Raids are the most important activity that takes place within the Guild. They are a powerful source of valuable Guild Coins. Idle Heroes Strategy Game Guide. Guild Raids are the most important activity that takes place within the Guild. They are a powerful source of valuable Guild Coins. 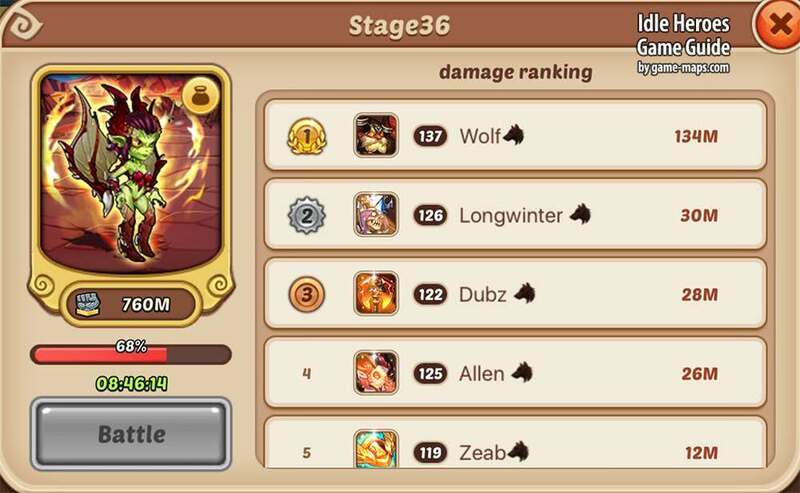 Guild members have to challenge Guild Boss together in Raid. Remember to take part in every Raid, otherwise you will miss the prize. Earn small rewards from each battle. The more powerful Boss you challenge, the better rewards you get. 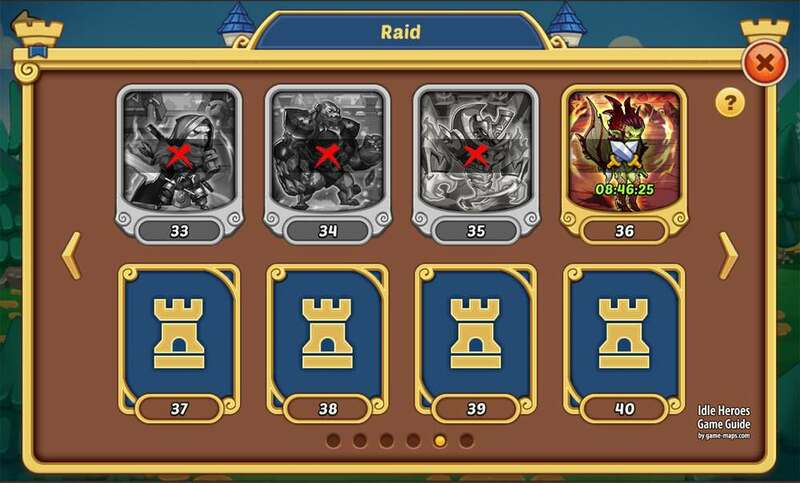 After beating the Guild Boss, every player will get raid rewards that basing on the damage ranking. The player who made the final blow, the killing Boss receives an additional reward. Player who Reward is sent by in game mail. You can only get the rewards when killing the Boss at the first time. Changing the Guild does not allow you to fight again with the same Boss, once you kill him you will not be able to kill him again. You cannot challenge the Boss that you have already beaten again. If failed in challenge, then it costs 16 hours as revival time to challenge again. Or You can spend gems to instantly revive up to 3 times (for VIP players). To unlock next Guild Boss, it requires beating the previous boss.